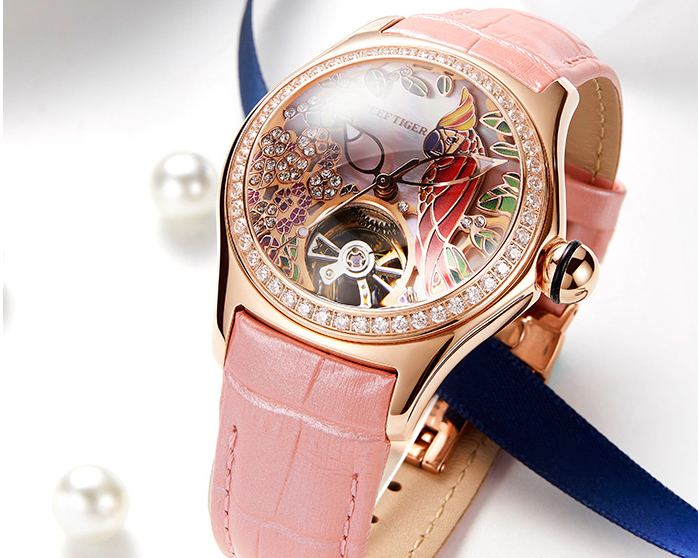 Reef Tiger combines personality with fashion, Launching Air Bubble Parrot series wristwatches. Big case(diameter 39mm),towering bubble crystal glass(thickness 7mm),and the zoomed-in dial bring a different wearing feelings. 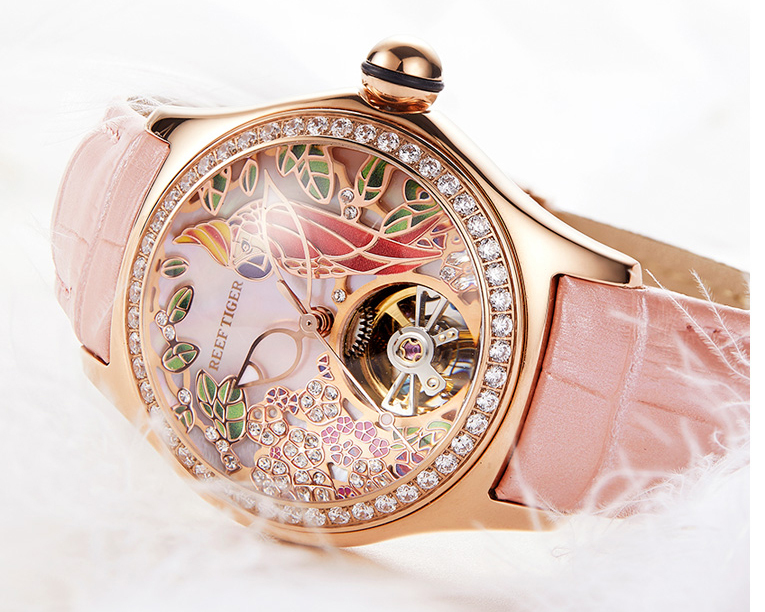 The new bubble parrot wristwatch launched this time, inspired by parrot, tree and flower, and use the tourbillon movement shows a vitality screen and romantic feelings. Op art uses the illusions of people, produce a optical illusions on the still pattern like it’s moving. Reef Tiger makes use of the op art, showing perfectly the fantastic 3D effect in the small space of the dial. The unique vision motion is like breaking a mirror. The lifelike parrot dial like a confidant talking with you.Any sense of disappointment and loss in like can find a sense of belonging. Light & shade effect outstanding,being vivid and having feelings, which is perfectly suit to you. 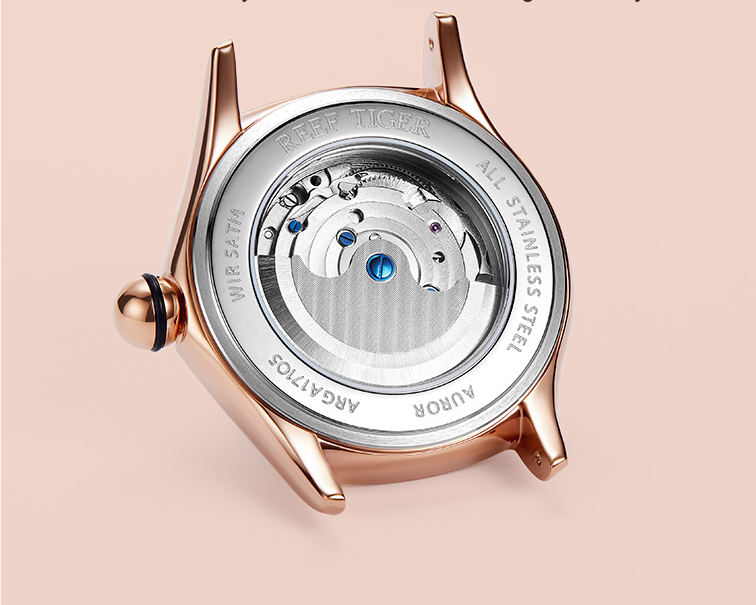 The 41mm watch case is sleek and beautiful, the ball crown is covered with a rubber ring. The heavy case combine with a small fine arc-shaped lug,which is close to wrist. It’s comfortable and personality. 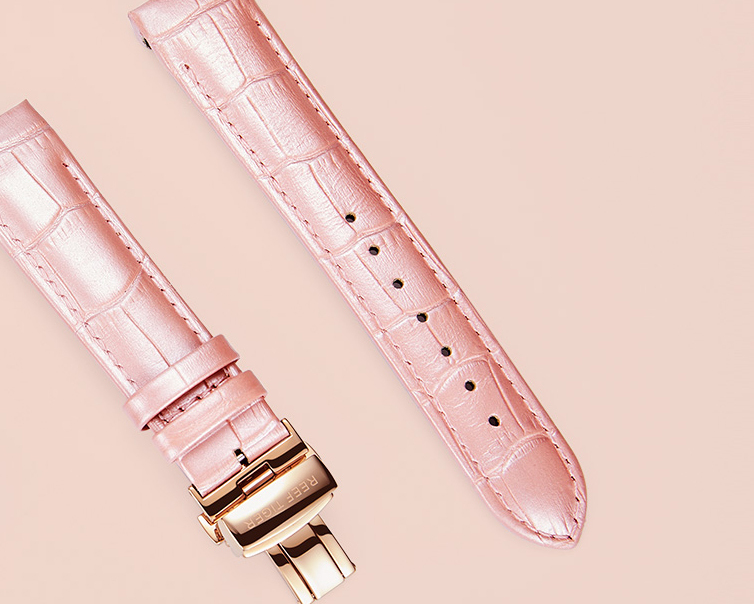 The unique pattern of crocodile leather strap shows quality and extravagant, which makes the elegant parrot wristwatch with some retro color. Calfskin leather imported from Italy hand stitched with cotton thread in same color. Soft and breathable brings are perfect wearing feelings. Parrot series wristwatches use RT5810 mechanical movement that is researched and developed independently by reef tiger. The smallest deviation lets you master time accurately and face the every moment of life challenges calmly.